Ever been challenged with improving a business process and don't know where to begin? Try using the internal audit approach. To help you, you can use our form at the bottom of this article. For a really good solution, use StreamLiner audit tracking software which simplifies and organizes this process. Often we consider audits to be tools that only 'auditors' use when completing a Health and Safety review or an internal audit as part of a recognized quality management system. 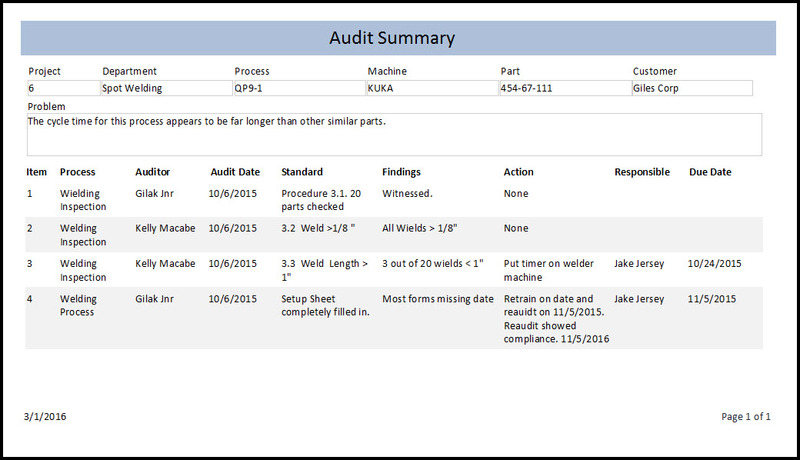 This brilliant tool, anyone can use audits, and we built this approach into our StreamLiner software. A good business process is a stable one. Its bugs have been ironed out, people understand the reason for the process and how to complete it. The staff fully adopted the business process. One of the simplest of ways to get started with a business process improvement activity, you should audit the adherence to a process. To get an audit started you need to know what 'good' looks like. You need to know the correct sequence of activities, you need to know about the speed of activities and any related quality checks that are part of the process. The first part of creating an quality audit checklist, you need to really understand the gold standard for that process and define some questions to help you determine if your business makes the grade. 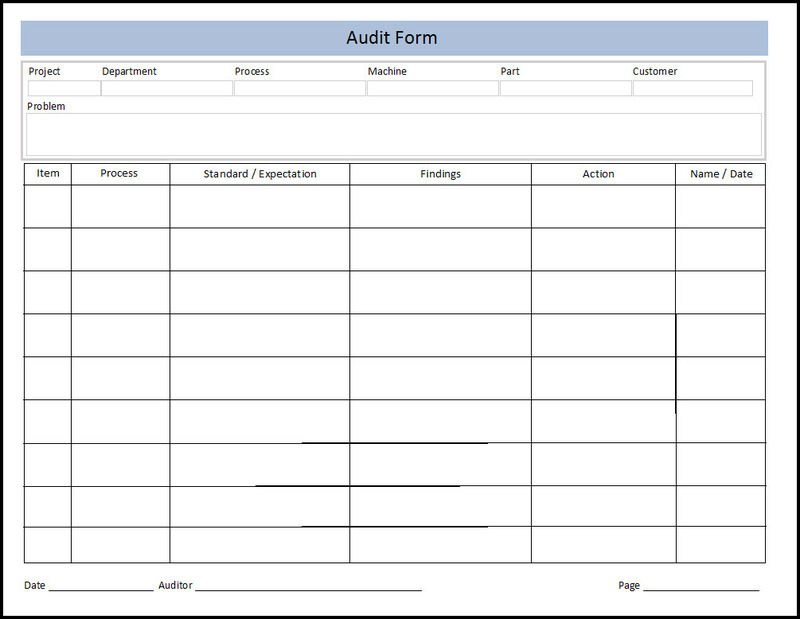 The StreamLiner audit tracking software allows you to capture your audit questions and then print out a quality audit checklist to capture the results. Armed with the questions you can then visit the process and find evidence to determine if your process is being complied with (or not). If you are new to auditing bear this next point in mind. Don't accept the information you receive on face value - dig a little and make sure there you see substance behind the statement. For example, if you are checking that a plan is available for the delivery of a project and you get a 'yes' response to the question, ask to see the plan. No plan equals no evidence equals a non-compliance with the process. You don't have to be mean, but you do need to be thorough. 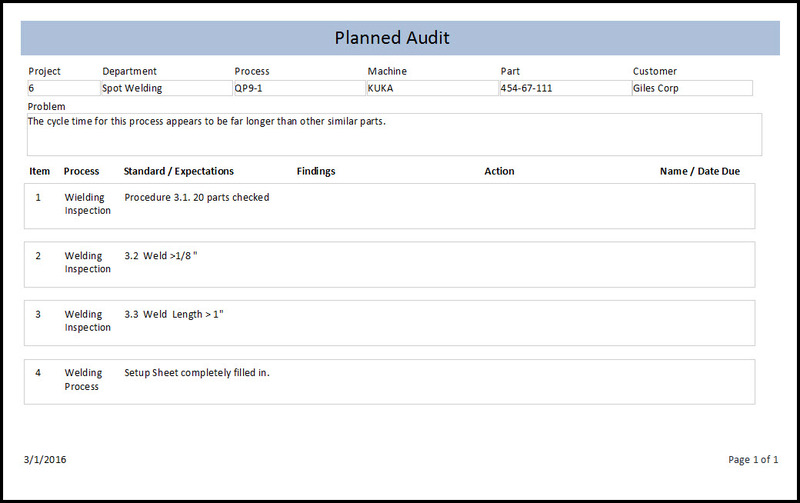 StreamLiner audit tracking software functionality includes an internal audit report format that allows you to capture your audit findings (for future review and as a record). It also converts any of the issues you find into improvement actions. You do this directly through the software audit report within StreamLiner and allows for the quick capturing of improvement opportunities. StreamLiner not only includes audit tracking software, but it includes other functions and can be combined with other tools, such as the Process Analysis, 5S and CCC (Concern, Cause and Countermeasure) tools, to provide a thorough evaluation of any business process. You can evaluate the actions that come out of the audit using StreamLiner BCS approach. BCS stands for Benefit, Cost and Speed. This simple scoring system allows you to quickly evaluate each improvement. This lets you prioritize your efforts so that you can get the biggest return on time (and in some cases cost) for your business improvement projects. You can manage actions in many other ways, but the combination of BCS and completion date are two of the best ways to make change happen in a business. StreamLiner also helps you manage all of your actions in one place. Let's say that you chose to use the audit tool and waste walking and the CCC approach, StreamLiner lets you optimize your efforts across all of their outputs. You keep one improvement plan blessed with ideas from numerous sources. You now slashed the time you would normally spend juggling different improvement plans. One piece of software and one plan per improvement project. StreamLiner is network compatible. Multiple people can access and use the data at the same time. Get all your team members on the same page. You can start small and quickly spread the software to all of your team members. Software audit reports is only part of the StreamLiner offering, but is a great way to get the improvement conversation started in your business. Get your copy of StreamLiner today and see just how easy it can be to make change happen in your business.